Taking into account that the last pics from the Dragon Swing Festival came out last week, I’m going to write a review about one of the great festivals that exist in Europe, in my opinion. 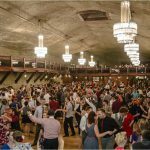 This year, Dragon Swing Festival took place from the 18th to the 22nd of November in Krakow (Poland). It is a slightly longer festival than others I know: 4 days of classes, although there is always the possibility of getting a weekend pass. Apart from the classes, there was a whole week of parties, summing up the official ones and those that were hold for the people who stayed in Krakov for some more days in order to visit the city. Among the teachers, you could find Shorty George (USA) and Ira Ishchuk (Ucrania), JeongWoo and Crystal Lee (Korea), The DecaVitas (Suecia), James Kibblewhite and Judith Rosenberg (UK), Ron Dobrovinsky and Sharon Guzman (Israel), Peter Kepic and Pavlina Grombirikova (Hungria/Rep. Checa), Joris Focquaert (Belgica) and Elzbieta Visnevskyte (LItuania), and some other from the new batch of European teachers. The level of the classes was great. Apart from the great level of the classes, this festival takes lot of care of the parties. There were 5 live bands parties and another two DJ music parties. The bands that played were The Django Sisters and their boy band (Czech Rep.), The Cajun Spices (Poland), Leliwa Jazz Band (Poland) and Jazz Band Ball Orchestra (Poland). The main parties were on Friday and Saturday. 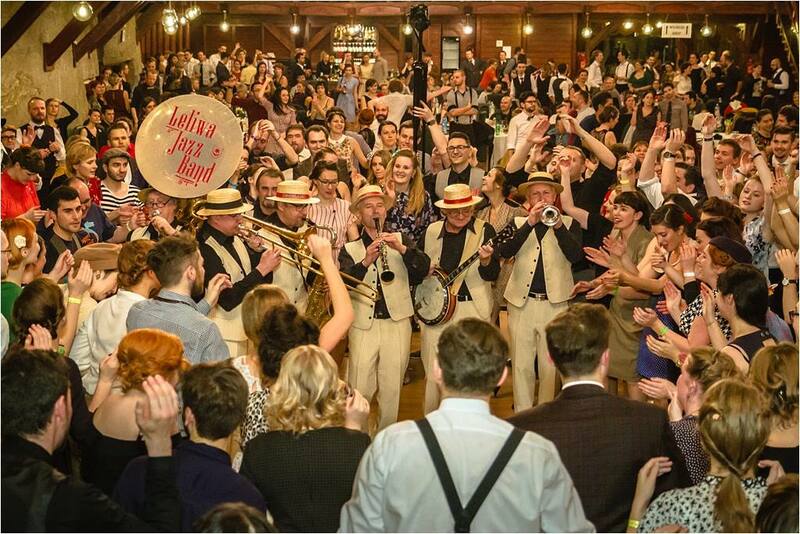 Friday’s night party took placed at the Old Tram Depot, now transformed into a huge brewery. That day we could enjoy the Swing Wings performance, the teacher’s presentation and the final of the Open J&J. 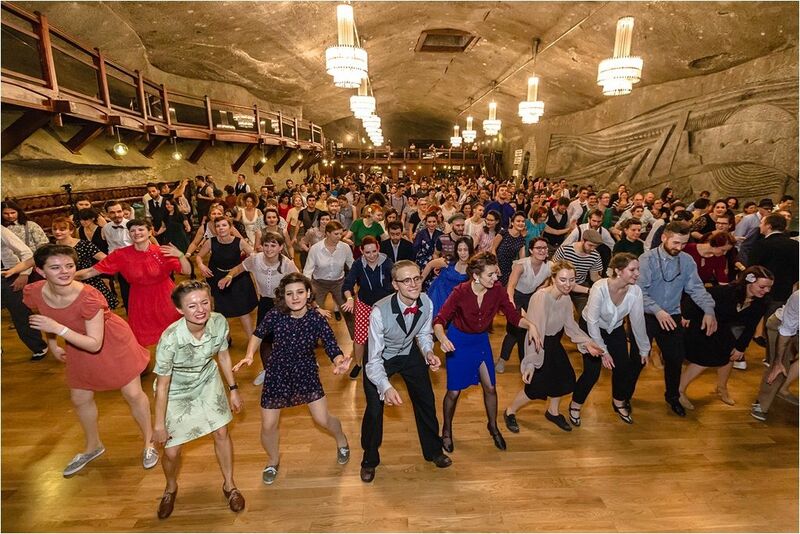 When we thought that the Friday party was impossible to beat, the Saturday’s night party arrived… The most impressive place I have never dance swing before, Wieliczka Salt Mine was amazing… a huge wood floor ballroom 125 meters underground. Live music from 8pm till 4am. 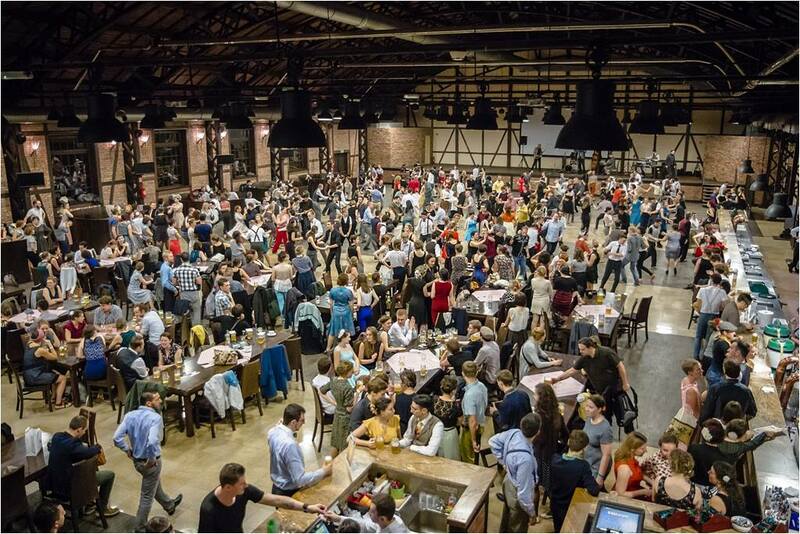 Different bands, performances, surprises… A spectacular atmosphere, more than 600 people with enough space to dance. Nothing else you can ask for in a swing dance party. For me, there is an after and before that party. After writting this, nothing else apart from recommending this festival. 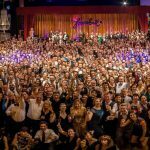 A beautiful city, a great atmosphere, energy, young people… that took us to the golden swing era.